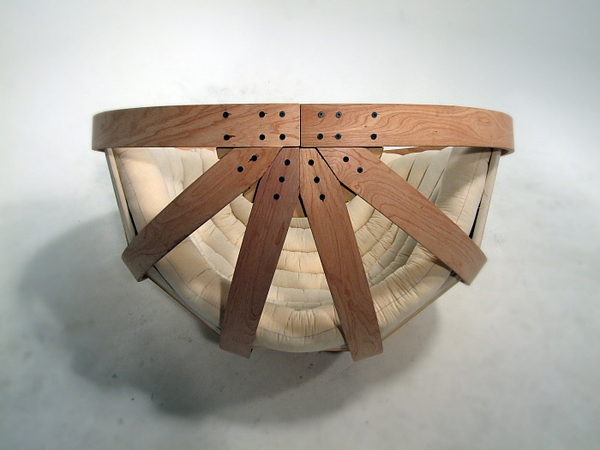 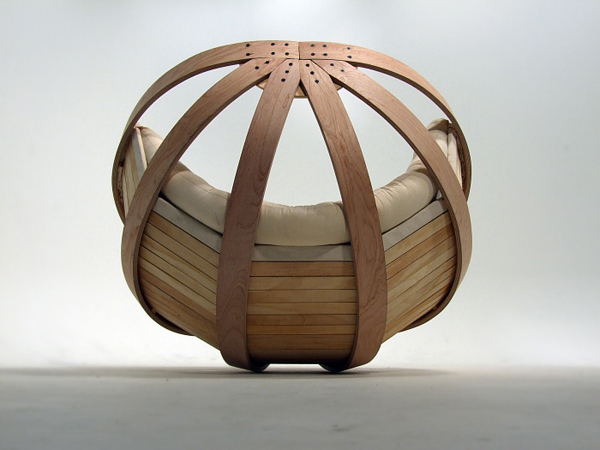 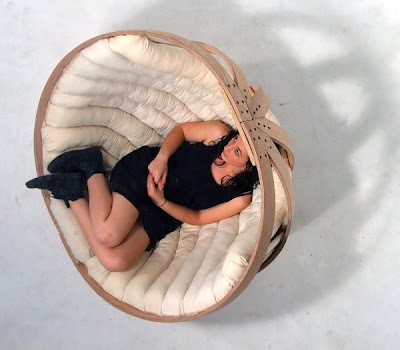 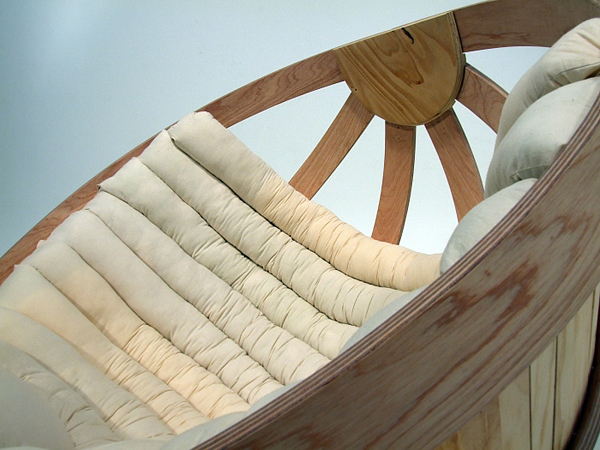 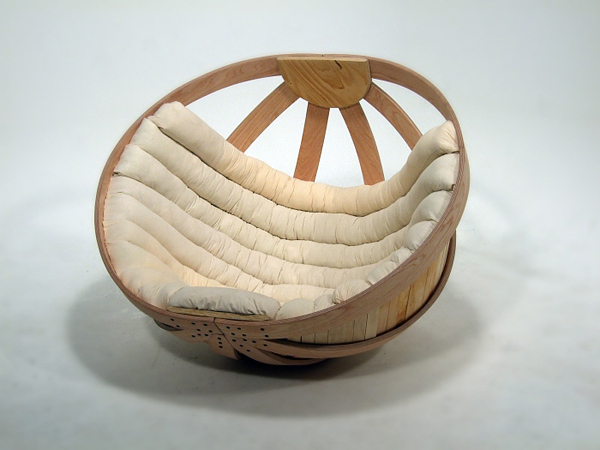 Designer Richard Clarkson has created a cradle for adults, in collaboration with Grace Emmanual, Brodie Campbell, Jeremy Broker, Eamon Moore, Kahlivia Russell and Joya Boerrigter. 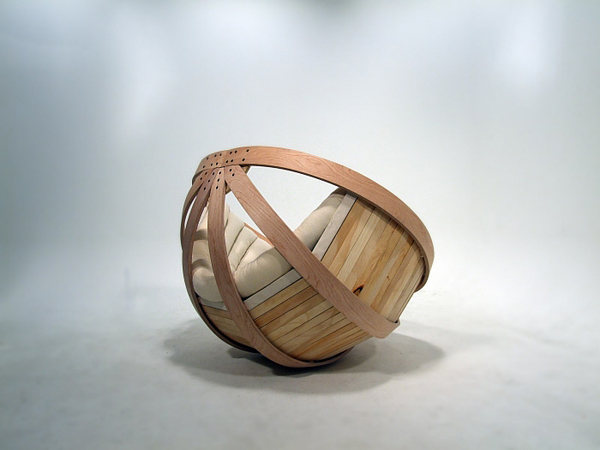 "Cradle" is about creating a safe, comfortable and relaxing environment in which the user can dissipate the overstimulation of their senses. 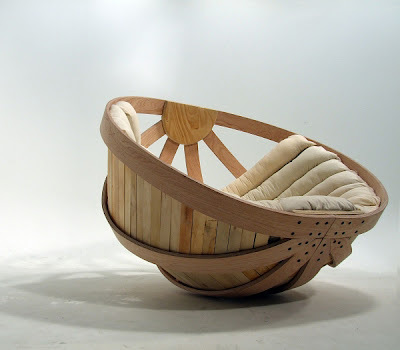 The design was heavily directed by a synthesis of research into Autism and children with Rhythmic Movement Disorder (RMD), as well as saftey, sustainability, function and aesthetics. 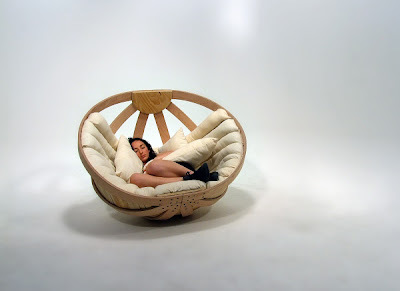 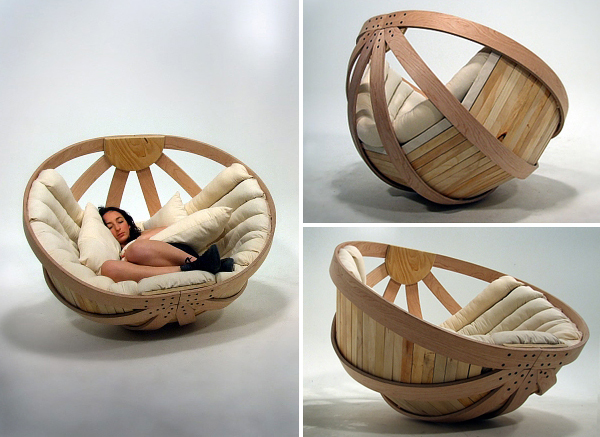 The chair is designed for maximum relaxation, comfort and calmness."